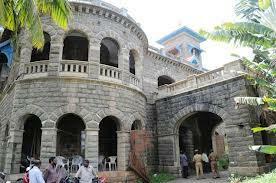 Are you searching about Halcyon Castle Palace in Thiruvanathapuram? Halcyon Castle Palace is one of the famous palace in Kerala which has many attraction places and facilities. It it located in Kerala. Do you want to know more details? Read here details, facilities and attraction places of Halcyon Castle Palace. Halcyon Castle is constructed by princely state of Travancore in the state of Kerala in the year of 1932. In the year of 1964 entire property was sold to the Government of Kerala. Later, Government converted the Palace to Hotel. But, still tourist people who are coming to Kerala wishes to see this Palace and they want to merge into this. So, they used to stay in this Palace. Now, this Palace is under the control of ITDC. They have joint this Palace with nearby 65 acres and made it as 5 star luxury hotel. This is one of the best Historical monuments to be protected. Rooms are available from the price of Rs. 5000/- which includes with Breakfast. The snacks and foods will be available always in this Palace at respective Pay. Pets are allowed by pre-intimation. Halcyon Castle Palaces holds with the tourist's spots. Light house beach: This beach will be very beautiful in the evening and morning times. The water in this beach will be clear. Fishing is not allowed in this Beach. Hawah Beach: Hawah Beach is like a family beach. Many people used to come here to spend their family with lots of entertainment. Coconuts are the special of Kerala. Here in this beach each and every person can get the Coconuts and play with the crystal clear water. This beach is surrounded by the green cover. This will be an ideal pleasant for great scenery. Vellayani Lake: This Lake is in the main spot of Thiruvananthapuram. So, many people used to come here to see the clear blue water. Kovalam Jama Masjid: This Masjid is situated between three beaches. So, will be a pleasant time for the tourist here. How to reach Halcyon Castle Palace ?